They got us! Came in and had us thinking this was the best thing since sliced bread. Does not do 75% of things we needed it to do that we were told it would do. Get told one thing and then a month later you hear “We never said that”. Because of dissatisfaction we were told ” We are going to give you a free month”. NOT!! Now its “Only certain parts of your service are free” They are ignorant liars!!!! 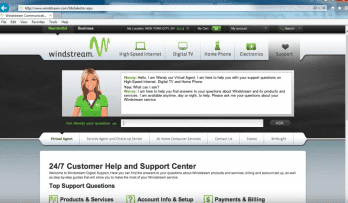 We have been a customer of BROADVIEW NETWORKS (for home phone service) since 2003 paid our bill every month on time!!! And boy let me tell you we have seen our bill go from $40-$80 in the span of three years but being in the Adirondack Mountains well we just don’t have a choice!!!! Then on September 27, 2017 somebody goes ahead and disconnect our home phone don’t know what the reason was but we can’t seem to get it back! It is now November 9, 2017 and still nobody can help us… But pay your bill on time or else you will get disconnected or pay your bill and get disconnected anyway they’re awesome… being totally facetious!!!!!!!!! Nice to be able to speak with support reps who are knowledgeable and helpful. Not easy to receive in this day and age. Pros: very good support system. We are happy with Broadview Networks. Great tech service who have help on phone installation all day. With over 20 years of service experience, Broadview Networks has grown from a legacy telephony provider, shifting their focus to delivering cloud unified communications solutions to almost any size business. Based in New York, Broadview Networks offers services throughout the entire nation, and has been specifically focused on VoIP and the Cloud Industry since 2005. Currently the provider offers their own Office UC suite of tools, with contact center software, online phones and presence, business intelligence, and company wide chat. The entire platform is built off of the Broadview MyOfficeSuite to provider users with an incredibly simple yet powerful management portal. Broadview had filed for Chapter 11 back in 2012, but emerged from the process in October that year ready to talk on their next challenges. Since, Broadview has not slowed down in improving their product base, and innovating unique solutions for any size business, even scaling up to the large Enterprise companies. Over time, Broadview has also acquire a large number of businesses to help build out their portfolio, including ATX communications and even InfoHighway Communications in 2007 to strengthen their hosted offerings. Beyond their service platform, Broadview also offers resources and information including white papers, expert videos, FAQs and virtual demos. Broadview Networks offer their own take on a unique solution to solve the age old problem of communications. With a massive $320 million gathered in total venture capital funding since their founding way back in 1996, it’s no surprise that Broadview Networks is still a prominent force in the industry. It is also no surprise to see the industry, and individual providers, to shift from legacy to cloud based operations – something that Broadview was quick to do back at the beginning of the industry, during the original development days in 2005. Broadview has also since grown their capabilities, originally focusing on the small to mid-size business, the provider is now capable of outfitting entire Enterprise companies with the right solution. 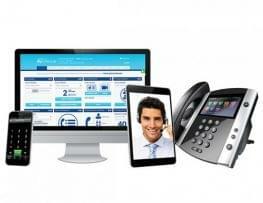 But, over the years Broadview has expanded beyond just VoIP and telephony communication capabilities. The provider quickly recognized the need to branch their solutions into not only an entire Unified Communications platform, but even an overall cloud network platform, and even a contact center solution. Broadview’s UC solution is not reliant on phones, servers power or any independent devices to operate – the entire solution is 100% in the cloud, and according to Broadview, they offer the only 100% cloud-based unified communications solution. Broadview is also capable of providing users with a robust, cloud based meeting platform to reduce the hassle of online video conferencing, for up to 100 participants. On top of it all, highlighting Broadview’s understanding for Enterprise needs, the provider understand the upmost importance of security, and aims to ensure the highest level of robust encryption and security practices to protect not own their own network, but your business’s network and data as well. And speaking of Data, thanks to the unique Broadview cloud network, the provider can help your business manage data and intelligence with their solutions as well. Broadview’s platform utilizes a “unique technology platform, and SilNET, instead of SIP or open source technologies” to help ensure the best security, compatibility and reliability. What Do You Think of Broadview Networks?